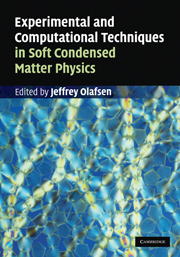 The latest news is that Dr. Olafsen’s edited volume should be published by the end of the summer by Cambridge University Press. There’s been a lot of news since Dr. Olafsen’s Nonlinear Dynamics Lab moved to Baylor University. At some point, we’ll try and reconstruct a news archive for the last few years. The most significant piece of news is that the lab changed names when it arrived at Baylor University. The Dynamics and Imaging Analysis Lab (DIAL) is the new name for what was previously the Imaging Systems Laboratory Experiments (ISLE) group. has appeared in Physical Review E.
to fund purchase of a portable MRI resource. has appeared in Physical Review Letters. Eric Sorrentino, a junior majoring in journalism, focused his multimedia project on the work of Jesse Atwell, G. W. Baxter and J. S. Olafsen. The end result can be seen here. Ben Bammes’ video to the APS March Meeting received 3rd place in the 1st Annual Gallery of Images sponsored by the GSNP group of the APS. As part of the award, Ben will be submitting a paper and video to the journal Chaos. Sarah Feldt and Kevin Kohlstedt have graduated. Sarah will be attending graduate school at the University of Michigan on a Regents Fellowship. Kevin will be attending graduate school at Northwestern University on a McCormick Fellowship. The new lab in 6073 Malott has been finished. The ISLE lab will be moving over the next couple of weeks. of the Department’s Prosser Scholarship. NASA EPSCoR for collaborative work with Chris Sorensen at KSU. The Journal of the Kansas Entomological Society, Vol 76, Issue 3 (2003). an NSF Graduate Fellowship to begin graduate school next fall! Undergraduate Research Awards for Summer 2003 from the KU UGRA Program! at Argonne National Laboratory this summer! Congratulations to Sarah Feldt for being named a Goldwater Scholar from KU. has been published in Physical Review E.
for being awarded Summer UGRAs from KU for 2002! for being named Goldwater Scholarship winners! will be spending 8 weeks this summer working on a project with us.